The Swedish capital of Stockholm it’s one of the most beautiful cities in the Baltic built on a cluster of 14 islands and surrounded almost entirely by the sea. The city is often described as the Venice of the north. Naturally, the sea plays an important role in everyday life so it’s perhaps no surprise that the city’s most popular attraction has a nautical theme. I tell you why west Sweden is one of my top travel destinations for 2019? Now the coast of West Sweden is dotted with more than 8,000 islands and each one has its own unique charm. Summertime in this part of the world is actual perfection with long warm days and cool short nights. These islands are Sweden’s most westerly inhabited islands and they are 100% the place to go for nature as in Sweden’s only Marine National Park since there are no cars allowed at the islands are best explored by bike. There are not many places on earth where you can get this kind of peace and quiet and the beauty points. Fishing is one of the old cultures you can experience in here, you can rent a boat and go fishing with your loved ones & stay on it. Few things you will love to do if you are an adventurous person, you can try ocean kayaking, humps from cliffs and hiking too. Another wonderful side of Sweden is their history which you can experience through their museum where you can experience the Viking era along with old naval armour ships. Few places you can add up in your list are visiting city hall, the royal palace & most exciting one is the ice bar which caters you the finest vodka to keep your butts warm. 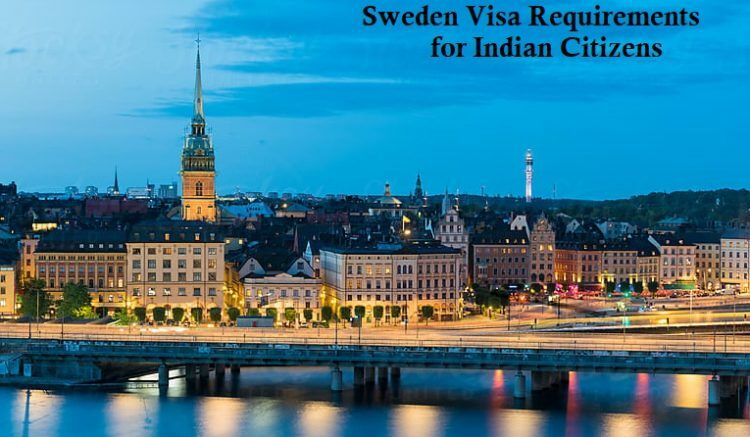 If you are ready to experience one of the best tourist destinations in Europe from India then keep in mind to apply for Sweden visa from India. Original Passport with minimum 6 months validity left before your travel dates with 2 black pages along with old passport (if any). Recent clicked passport size photographs with white background (3.5cm/4.5 cm). Sweden Visa application form with duly signed. Proof of Flight Reservation. In case of travelling to other Schengen countries, proof of intra-Schengen flights reservation required. Cover letter with complete tour itinerary details. Copy of original Marriage Certificate and Birth Certificates of children. Overseas travel medical insurance of 30,000 euro or equivalent for all risks. For employee: last 3 months pay slips & leave letter for the holiday approved by the employer. In case of Employer: Business registration proof along with last 3 months bank statements. For Student: a letter confirming enrolment in college/university. In the case of Pension: last three months or proof of regular income generated by ownership of property or business. Income tax return declaration for the last 2 years. If sponsored: proof of sponsorship along with relevant documents of the person. Authorization letter proof from the parental authority or legal guardian in case of minor travelling with a single parent or alone. Cover letter with complete tour itinerary details on company’s letterhead. A personal invitation from the company, commercial organization, training or sporting, artistic or cultural event which has invited the applicant, or from the company or organization providing the work experience, with details of the purpose of the trip, guarantee for expenses (if borne by the host) and any other documents that may prove the purpose of the visit (e.g. for a business trip, invoices, business correspondence or orders proving the existence of a business relationship). Income tax return declaration of company’s for the last 2 years. Schengen visa for Sweden will take normally 12 to 15 working days from the date of submission at VFS Delhi. Please note that Sweden visa application submitted at another visa centre will be processed after two days. Sweden visa fees for Indian citizen is approx ₹6,500/- per applicant. To know more click here. 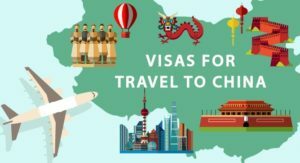 As an Indian citizen, if you are planning to visit Sweden for a short-term visit either tourism or business, you have to apply for a Schengen visa with the right visa category as per your purpose. In case you need and Schengen Visa assistance from our visa consultant, you can drop an enquiry, visit us or call us with your query. We are also offering services for Flight reservation, Hotel reservation, Holiday Packages, Travel Insurance as additional services along with Visa Assistance. We would love to help you out. Copyright © 2019 Visa Triangle. Theme Travel Diaries by Rara Theme. Powered by WordPress.